We have been working with Shaun Leane for over 15 years. Shaun Leane creates elaborate bespoke jewellery suitable for a wide audience. 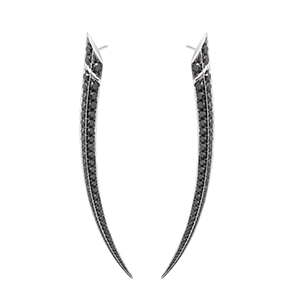 The sabre earrings are made in white gold, finished with a high polish and plated with white rhodium. Black rhodium is also used to highlight the black diamond area. 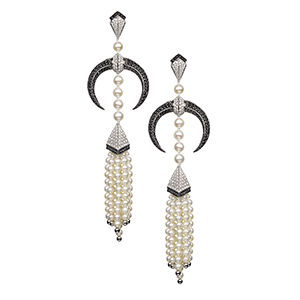 The pearl earrings are also made in white gold, and finished with white and black rhodium. 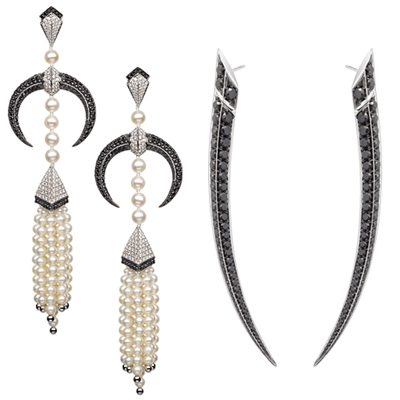 The components are finished separately before being put together, then the pearls are added to make the finished piece. 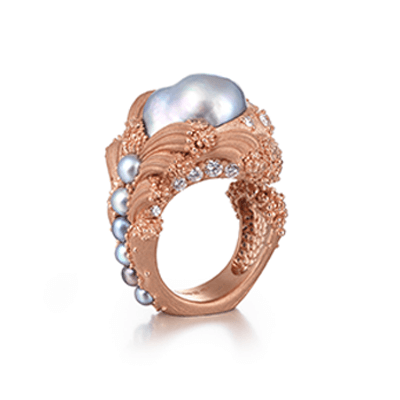 This allows each piece to be worked on individually with no risk of the pearls being affected. 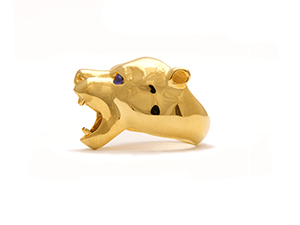 'Biiju' founded by Joanna Boyen, is a new jewellery brand offering bespoke jewellery products with a strong focus on choice and personal taste. 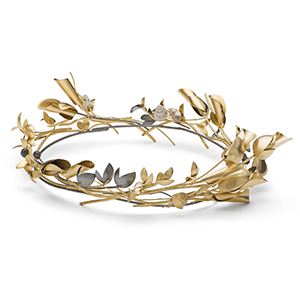 We have been working with Joanna for a number of years, helping her bring her pieces to life. We recently focused on texturing pieces by hand for Joanna, ready for her photoshoot to promote her new website which launched early this year. 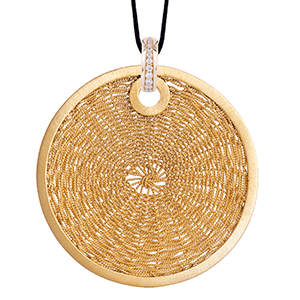 The Alice pendant with a diamond clasp has a directional satin finish applied to the top surface and inner circle which brushes outwards. 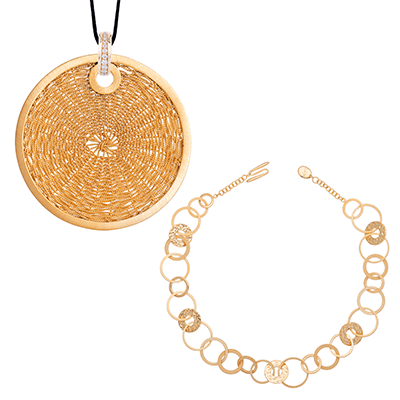 This helps to accentuate the circular shape of the pendent. 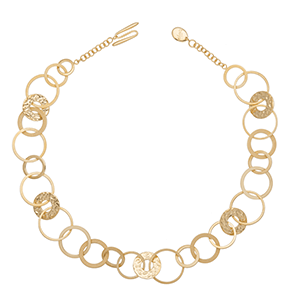 The 'slinky bracelet' contains multiple links, each with its own texture, varying from coarse and fine sandblasting, satin finishing in various directions and highly polished links. To give a contrast, we also left the sides of some links highly polished. 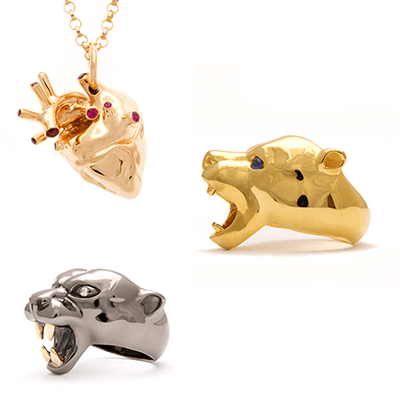 Graham Mitchell is the designer behind Strange Fruit Jewellery, Graham uses his background in illustrative design to combine contemporary designs with classical craftsmanship resulting in a luxury brand of jewellery containing bears, panthers and hearts. 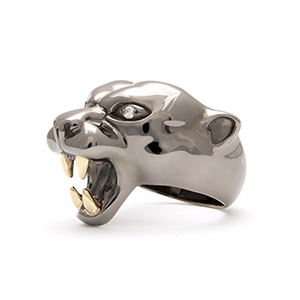 All pieces are made in precious metal and have a highly polished finish. 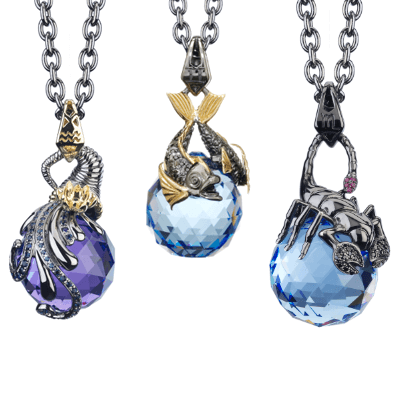 They are then microplated in yellow gold, rose gold, or plated in black rhodium. Loveweds are a family run business based at 29 Hatton Garden with a showroom in Harpenden. 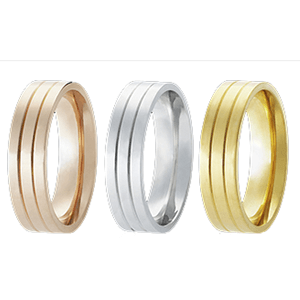 Their wedding band range is incredibly popular. 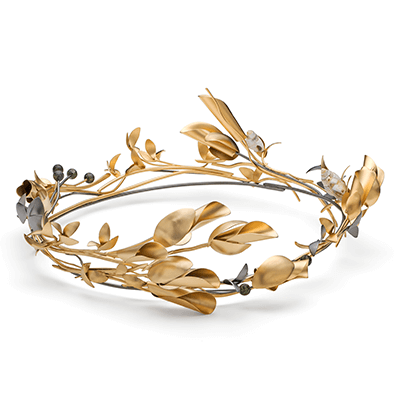 Loveweds have become the most popular manufacturer in the UK because of their exquisite designs. Their jewellery comes in a variety of metals, including bi/tri-coloured. We have had the pleasure of being able to develop their ideas by suggesting texturing ideas, highlighting areas such as the beveled edges and providing coloured plating varieties. 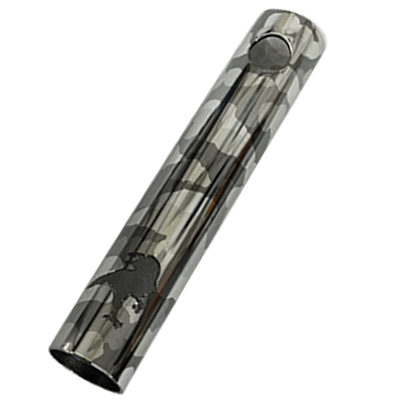 This E-Cigarette case is made from silver, Katie requested a camouflage finish in different shades of grey. Bearing in mind there were no lines for us to follow, it was up to the skilled members of our team to section off the correct areas and plate them accordingly with four different types of rhodium. It is this type of work that takes a lot of patience and perfection. With this level of detail required mistakes can easily be made, however our results on pieces like these are what give us the good name we have worked so hard for. 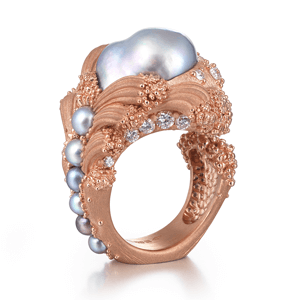 Ornella Iannuzzi is a French jewellery designer, Ornella's style is described as 'awe-inspiring, all-powerful, thundering, erupting and exploding earthshifting forces of Nature'. Ornella creates pieces of jewellery which represent beautiful landscapes and elements of nature, using harmonious textures and colours to complement the unique settings holding gemstones which are rough cut or hand carved. Ornella won the gold award in the IJL precious jewellery category and the Goldsmiths Company Award, with the ring pictured. This is the first time a ring has achieved such an award. 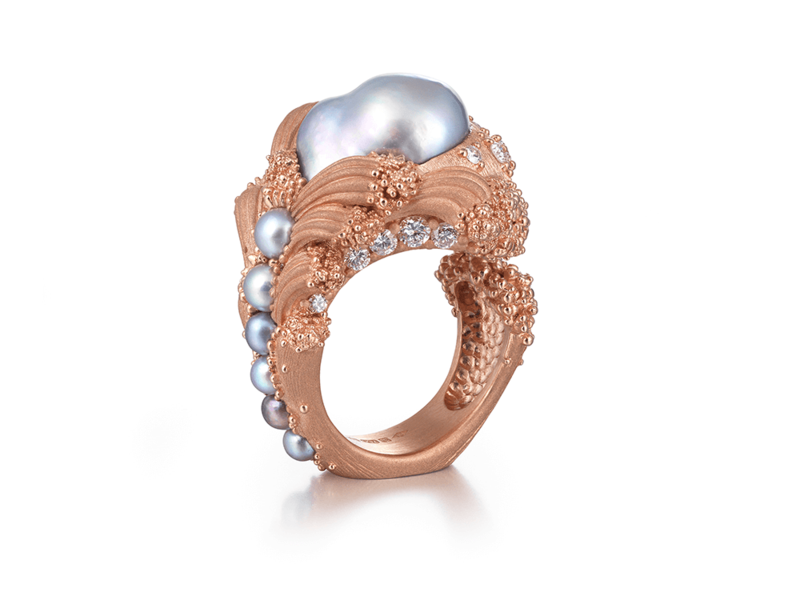 The piece is called 'The Uprising', It is made in 18 carat rose gold, set with Arabian pearls and diamonds. We coarse sandblasted the ring, leaving the inside with a satin finish and we gave the beaded area a highly polished effect to reflect and provide a contrast. We had the pleasure of working alongside Mirri Damer when she was asked to commission a ceremonial crown and brooch for Dawn French, for when Dawn French was asked to become Chancellor of Falmouth a University. 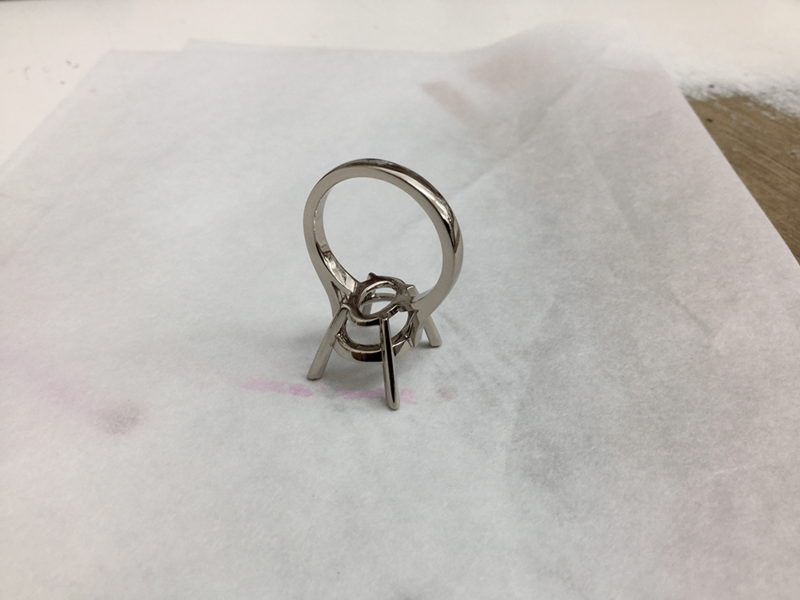 Mirri made the crown in silver and contacted us in regards to finishing the piece. Mirri came to discuss the options availible, whereby we advised her in the colour to use, along with the finish due to it needing to match the robes worn in the ceremony. The ceremonial crown and brooch has a fine sandblast finish all over, with the edges of the leaves burnished to give a subtle contrast. It was then micro plated using fine gold with black rhodium areas scattered around. 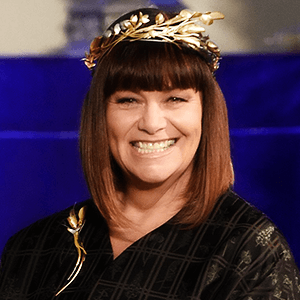 It was an honour to work alongside Mirri to create a stunning piece for Dawn French's ceremony, and we were informed that she was very pleased with the piece. Photos by Sophia Best and Paul Mounsey. 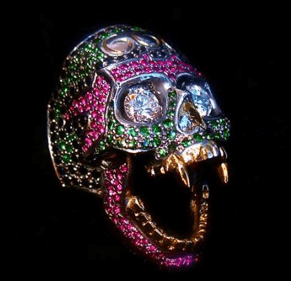 Stephen Webster, the London-based luxury jewellery brand internationally heralded for its exquisite and cutting edge designs continues to flourish under its founder and creative director, Stephen Webster. 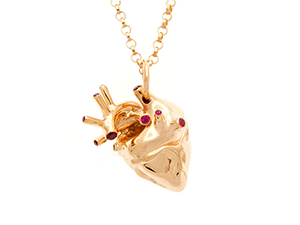 Taking inspiration from music, fashion, literature and art to produce contemporary, bold and glamorous collections, this unique approach to fine jewellery has been some 40 years in the making. 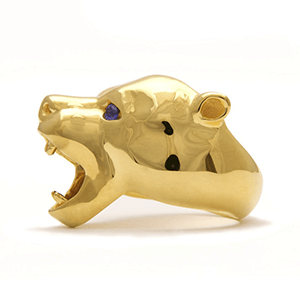 One of the foremost art jewellers working in Britain today with over 20 years experience in the field, Julian Lamb's style, by his own admission is diverse. He has created works, which satisfying his own visions are both haunting and dramatic, while simultaneously producing brilliantly realized work in response to briefs for commissioned pieces. Julian's works, thought-provoking and inspiring, have won awards. 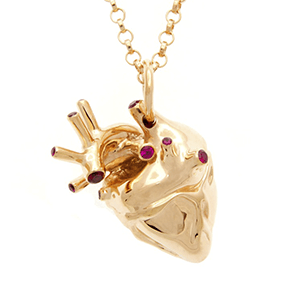 His pieces combine a powerfully executed style with a flair that has proved to have world wide appeal. Achieving international acclaim through commissions for high profile clients including Poste Militaire, Asprey and The Chapman Brothers. 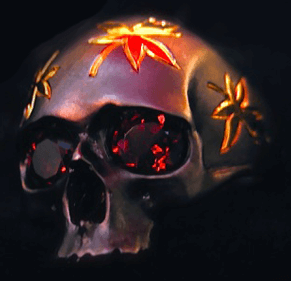 The last few years has seen Ruby Crush gain considerable notoriety as makers of the finest skull rings. 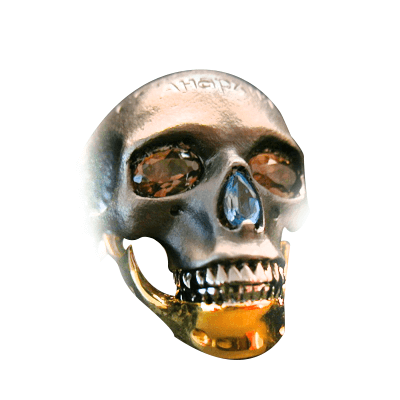 Whether in cool Sterling silver or fully customized...they are without equal. 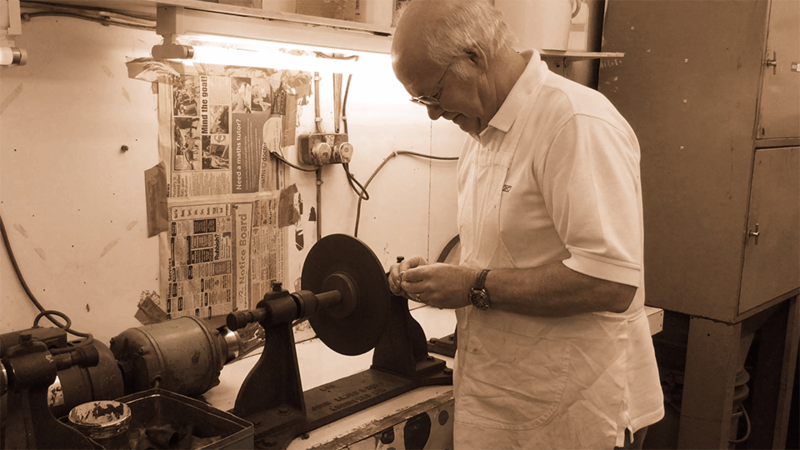 We are one of the largest and most reputable polishing and finishing companies in Hatton Garden. before being taken over, in February 1972, by Barry Coumbe and Keith Buckley. average work turnaround of 24 hours. Using up to date tools and techniques specific to the metal our team of specialist polishers are able to polish all types of precious metals. 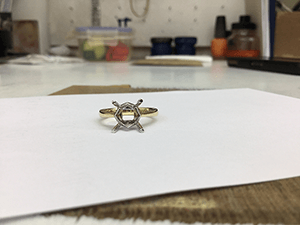 Years of experience ensure that jewellery is cleaned, polished, re-polished or finished to meet showroom standards 100% of the time whether it is for one off pieces or mass production. ‘Masking off’ or ‘Stopping out’ is a process which allows for only certain areas of a piece of jewellery to be plated (engraving, raised areas, collets, recesses for example). Our specialist finishers can mask off even the finest of engraving for black rhodium plating. All masking off is done by hand; time needed for masking off can vary from a few minutes to a several days. In recent years we have been able to push the boundaries of finishing and plating. 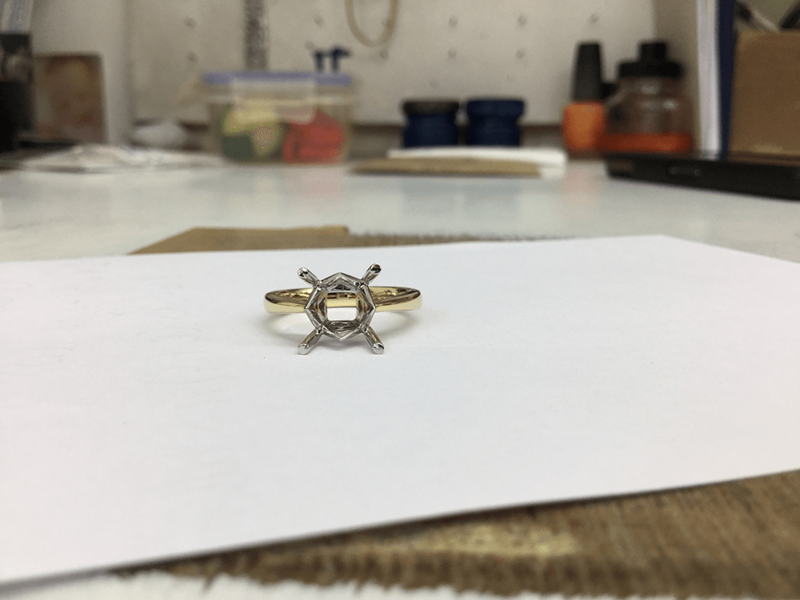 Allowing our staff’s creativity to flourish we combine skill, knowledge of shading, colour tones and texturing to bring people's ideas to life, turning jewellery into works of art; we are proud to have such skill in house. Darren, who recently became Director of the business, has worked with his younger team members to create a mental library of the skills involved in both masking and plating, to create elaborate finishes on pieces, the likes of which have never been seen; which has further served to establish the company’s reputation of excellence. Prepping is a very important stage of the finishing process, whether it is for mass manufacturing or for bespoke items. 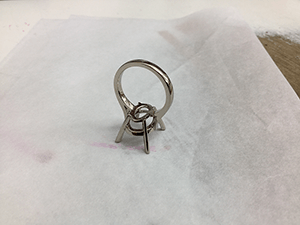 Prepping an item involves pre-polishing all areas of the metal; in the shoulders, galleries, collets and the shank. Once stones are set this process allows for the metal to reflect from behind the stones. 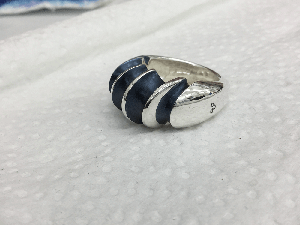 Skipping this process results in an unattractive finished piece and also puts all stones at risk during the finishing process. Raw mounts need to be papered using the finest grade of emery paper possible before being given to us for prepping. Lapping is a traditional technique used to cut facets, edges and bevels into items. 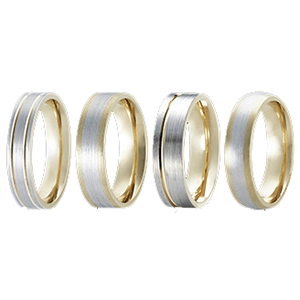 This technique provides a neat, crisp finish to the sides of wedding bands, signets and beveled edges on rings. Items must be lapped before stones are set. Lapping is a skill which only specialist members of staff can undertake, including Barry himself. 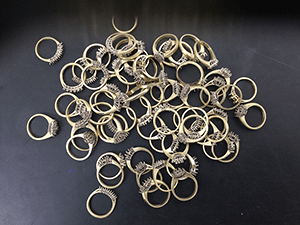 Micro plating also known as 'hard gold plating' or electroplating', is the process whereby items of jewellery can be plated with gold. Layers, called microns, build up on the metal; more microns result in a thicker, longer lasting plate. 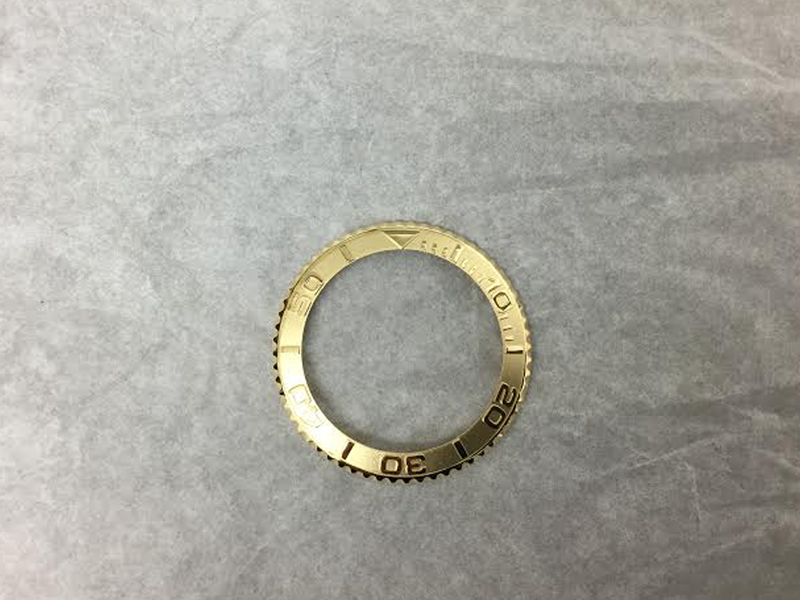 The layers are not visible to the naked eye and will not make the size of a ring smaller. However, threads in screws will be masked off before plating to make sure they fit securely. 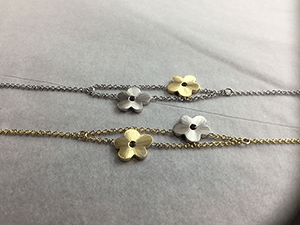 Micro plating can be completed in any shade of yellow gold. Thicknesses range from a micro flash, used for samples, up to 8-10 microns. There is no need to exceed the thickness of 10 microns. At F. Sinclair items are plated in a 60 litre tank of fine gold, there are no other alloys added into the solution, and it is a natural yellow colour. The colour is then be altered using our gilding solutions, which are plated on top of the natural colour to give finishes such as 18, 22, 24 carat and even lemon yellow. Please supply a sample of the colour finish you require. This is vital for us to understand what you would like to achieve. Even the slightest increase in temperature can affect the colour of the plating; which is particularly relevant during the summer months when it can get incredibly hot causing the colour to fluctuate in intensity. One of the most frequently asked questions is 'What do you advise as thickness for micro plating?'. Ultimately it is about what you, the customer, want to spend on your items. The thicker the microns the longer lasting the plating is and the more expensive it is. 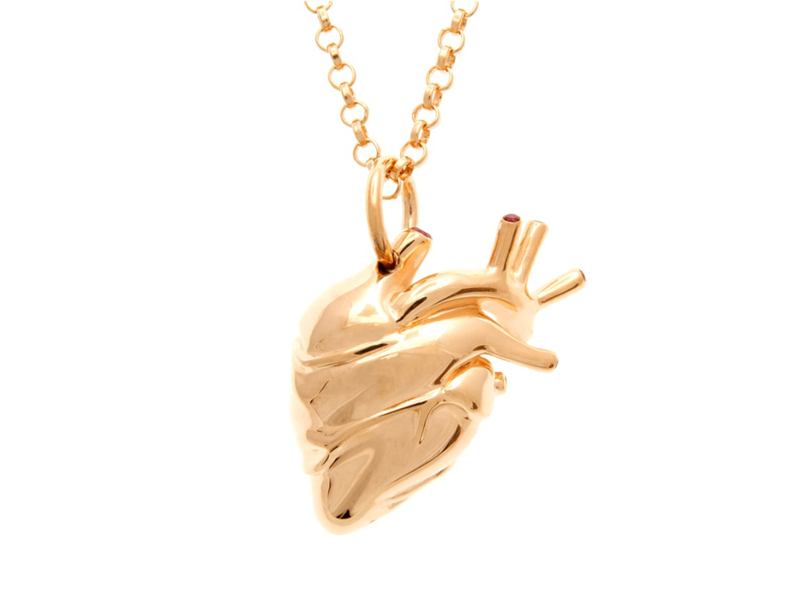 Items that rub against the skin require a thicker coating of gold. 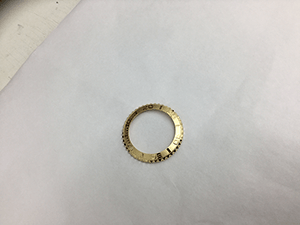 With the request for rose gold plating increasing significantly over the last few years, we have introduced a hard gold plating solution which allows for rose gold to be plated up to 2 microns thick. This plating is harder wearing than the standard rose colour gilding and is often described by customers as having a ‘pink’ tone. 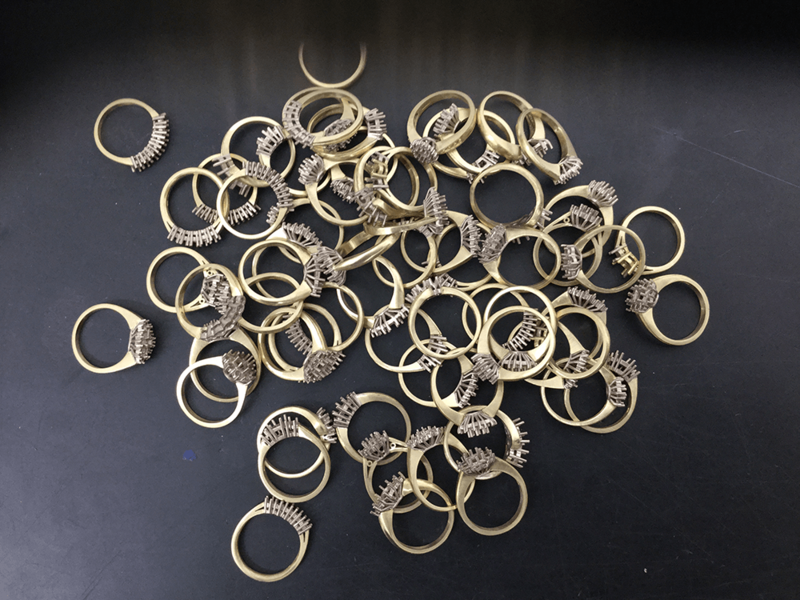 Palnic plating can be used individually, or in conjunction with rhodium. This palladium (pal-) based plating contains traces of nickel (-nic) in the solution which allows the plating to better adhere to the metal. 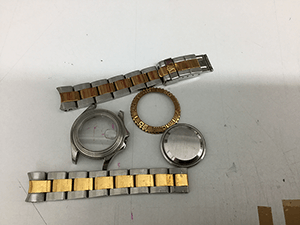 This plating is used on its own to obtain the look of platinum; or when there are certain stones already set in the piece, such as pearls, which cannot withstand rhodium plating. Palnic is most traditionally used in combination with rhodium plating which is sometimes referred to as ‘hard rhodium’. 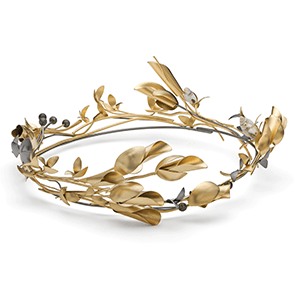 It becomes a heavy, longer lasting plate when the rhodium is plated on top of a palnic base. This is commonly used to give a long lasting white metal colour to yellow gold jewellery. Neither palnic plating nor rhodium plating come in micron thicknesses. 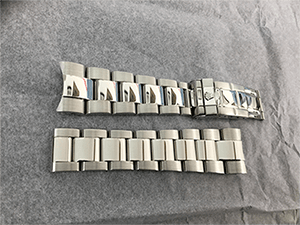 It is more durable than rhodium on its own, however putting a time on how long it will last is dependent on the wear it suffers by the customer. Silver plating is normally used on larger items such as jugs, salvors and even larger pieces like candelabra. 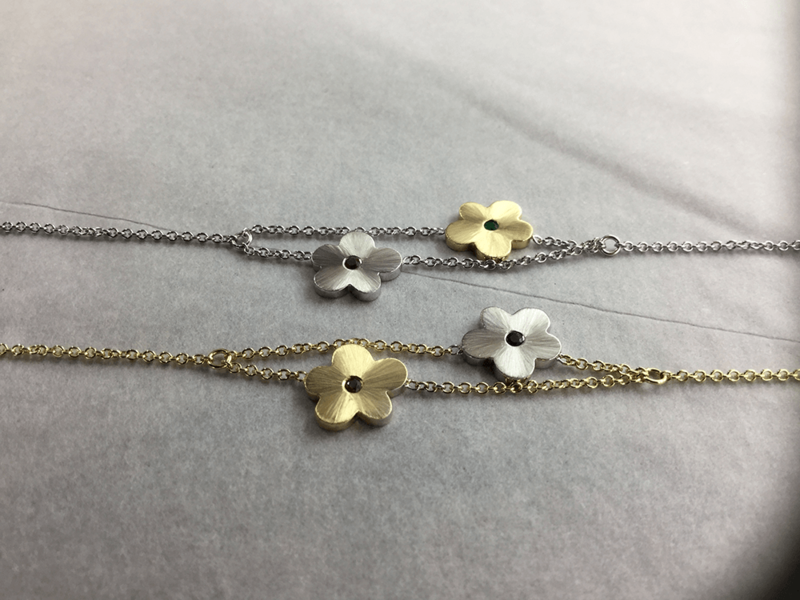 Such items can be plated, however they need to be sterling silver. Unfortunately items stamped with the mark EPNS, standing for 'electro-plated nickel silver', cannot be plated as they are base metal which has been plated with a silver looking finish. 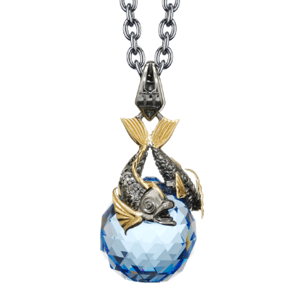 In regards to jewellery, silver plating is used to cover imperfections such as fire stain. Fire stain cannot always be covered; it is more preferable to attempt to polish out fire stain before plating. Silver plating is a more cost effective option over rhodium plating to prevent tarnishing. 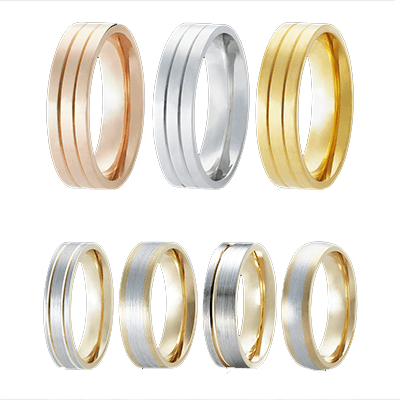 We also advise adding the colourless anti-tarnish plate over the top of the silver plating for further protection. Items of silver jewellery will tarnish over time regardless; to slow down the tarnishing process we advise customers to have the anti-tarnish plate on top of any silver pieces, this also helps to protect against the effects of perfume. Colour gilding is an option used to briefly change the colour of an item, giving an idea of how it would look in a different metal. It is different to micro plating because it is not long lasting. We have a vast array of colours available, however please provide a sample if you require something specific. 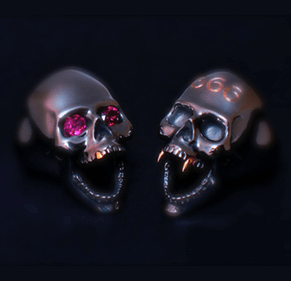 With the fashion industry having a massive influence on the jewellery trade, customers have been requesting an extremely dark, intense colour to make their statement pieces of jewellery stand out against the most elaborate designs of the catwalk. Our black plating solution uses rhodium as its base and gives an intense, jet black colour; a lot darker than, and not to be confused with, black rhodium. This plating cannot be rushed. In our own manually built tank, items must be submerged for long periods of time to encourage a deep intensity of colour to build up. It is also an extremely hot solution, meaning precious and semi-precious stones sensitive to heat (emeralds, tanzanites, tourmalines, peridots and citrines for example) must be treated with absolute care. We prefer to advise any customer before they undertake this plating in regards to setting stones before plating or not. Please allow a full working week when using the black plating service. White rhodium is a precious metal belonging to the platinum family. However, it is too brittle to make jewellery out of and is instead used to plate white gold to give it a brilliant white finish. 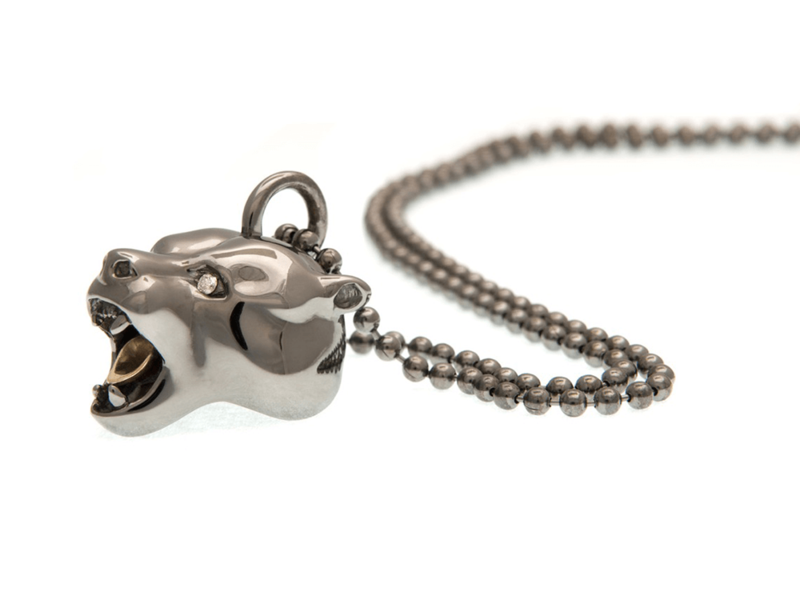 White rhodium can also be used on silver to protect against tarnishing, however it is not the most cost effective option, and we can give advice on alternatives. Black rhodium is used to highlight dark coloured stones such as brown and black diamonds, rubies and sapphires. 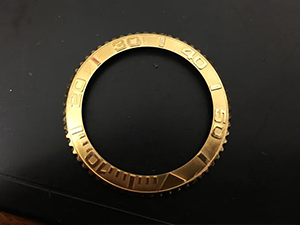 It can also be used to enhance engraved lines such as grooves in wedding bands as well as fine engraving which may otherwise be lost on a highly polished surface. Blue rhodium is the newest of our rhodium solutions and is also the most time consuming. 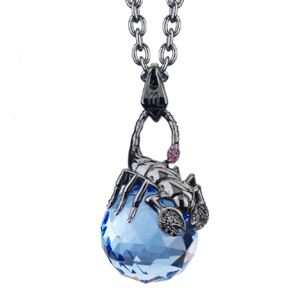 As with black rhodium, it is most effective when used to highlight the settings of sapphires and blue diamonds. 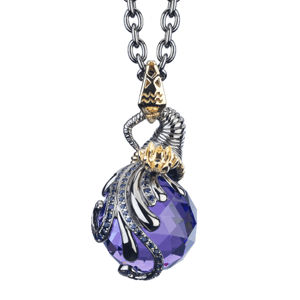 It can also be used inside the collets of jewellery to enhance pale coloured tanzanites, aquamarines and tourmalines. Blue Rhodium plating is a complicated process which advances through several stages of change before it reaches its deep, dark colour. Therefore, we request that we are given sufficient time to plate any items using blue rhodium to ensure optimum results. We currently offer a wide range of texturing services including satin finishing and sandblasting. Satin finishing is a texture which can be applied to numerous items and looks like brush strokes/ lines going horizontally or vertically. They can be applied as a fine texture or more coarse. We will always advise whether this texture is suitable for your item, for example, it may be more beneficial to use a satin finish to hide areas containing porosity, and when worn by a customer, satin finish will blend with the natural scratches from wear and tear. Sandblasting, both coarse and fine, can be described as a 'frosted' finish and is mainly used against a highly polished surface to create a contrast, such as on wedding bands. We will advise when to use it, and which grade is more suited. Due to the pressure from the machine to create this finish, items containing porosity may not be suitable to blast. It may effect the metal, allowing the porous holes to open up more. In this instance, we would advise a different method of texturing. Sandblasting is one of the most effective finishing types and most popular. Over the last five years we have broadened our skills, as specialist in texturing, to incorporate the watch industry. 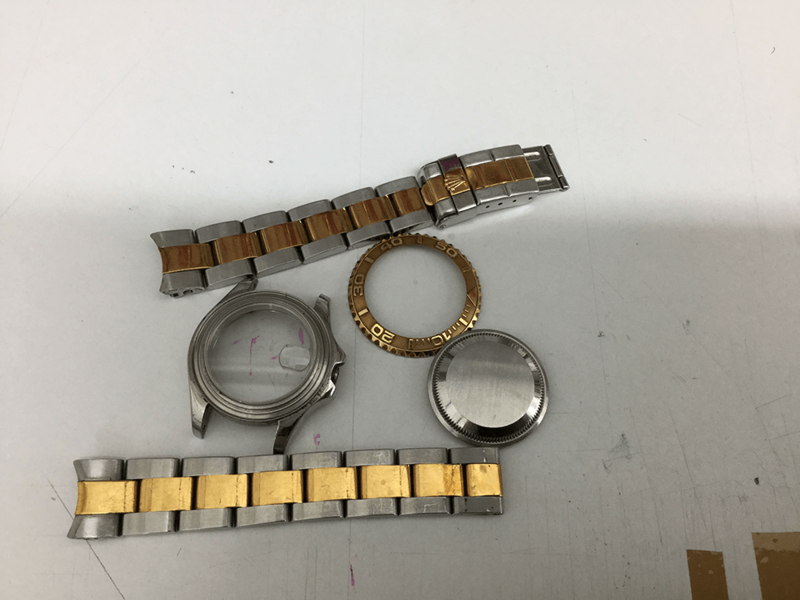 We offer refurbishments of numerous watch brands including Rolex, Cartier, Breitling, Chopard, Jaeger-Le-Coultre, Hublot, and Piaget. 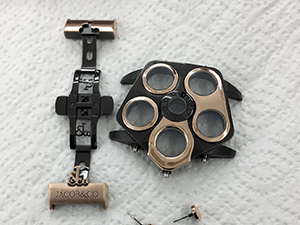 Watches must be disassembled and stripped down before we receive them, so that the movement, buttons, screws and any other necessary elements are removed. 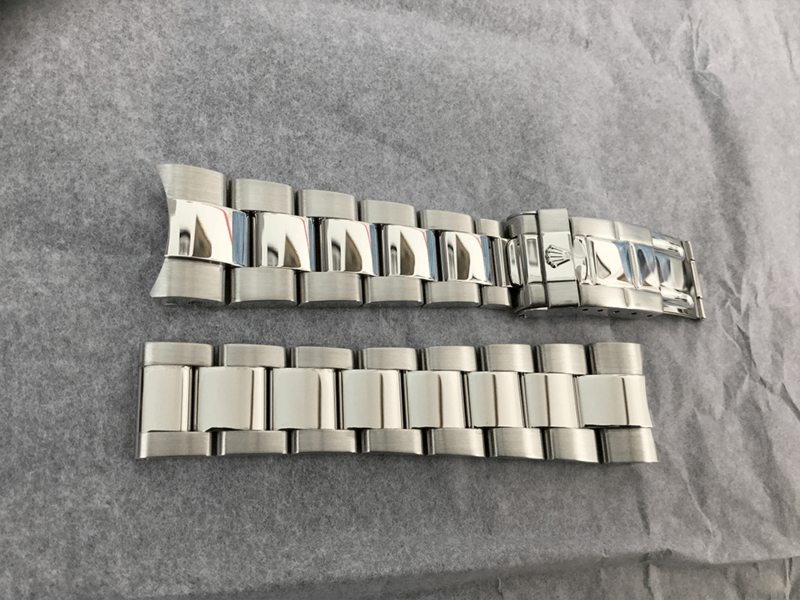 Watches are first cleaned, papered by hand to remove scratches and indentations, and then polished and retextured; ensuring all imperfections are removed from the metal during the process. Fully cleaned with chemicals to remove dirt and grease. Papered by hand to a state that is ready for polishing. Polished and satin finished where necessary; so that the centre of the strap remains bright. The case has a part polished, part satin finish. Fine sandblasted on the recess of the bezel, leaving all the numerals bright.